Christophe André, the French psychiatrist who has written so much (and so well!) about mindfulness meditation, likes to call guided meditations the “little wheels” of meditation. He compares guided meditation to the small training wheels used to learn to ride a bike. Like those training wheels, guided meditations help you to begin your practice with a lot of support. You can therefore enjoy an experience in which you are more easily transported to your inner world and discover peace of mind! 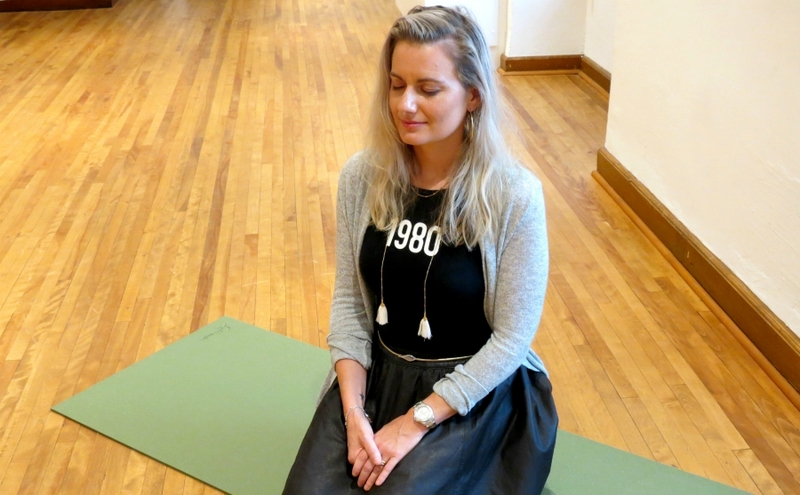 Guided meditations, such as those I offer monthly at the Le Monastère des Augustines, can be designed to help participants first relax and then dive into their inner realms to reconnect with themselves. In the past, we have had conducted guided meditations with such themes as nature, inner strength, working together and expanding horizons during the Rendez-vous de meditation sessions at the monastery. You really need to be disciplined or to be highly motivated to meditate alone, at home—especially when you start. To give yourself the best chance for success, anchoring your practice during a periodic meeting, with a group, provides an additional incentive to implement a habit of meditating in a sustainable fashion. During the Rendez-vous de méditation sessions au Monastère, several participants told me that they didn’t think they would be able to meditate or even endure an hour of meditation. Yet, everyone is surprised every time! They all wonder how time flew by so quickly. The answer is simple: when we experience time connected with ourselves, we then experience the true depth of the present moment. Time fades away to our great joy! Beginning your Sunday with a deep moment of reconnecting with yourself sets the tone for the rest of the week. Each ensuing encounter or daily activity will then allow you to gain heightened awareness and anchor yourself deep into your practice. And if you decide to continue your practice with personal meditation, in my opinion, your entire life may shift to giving you more confidence and peace of mind! Want to experience this? Marie Ève Lécine, a Guidance Counsellor and Meditation Instructor, hosts a monthly Rendez-vous de méditation sessions at the Le Monastère. On February 17, 2019, yoga and mindfulness instructor Sylvie Lemelin will join her for a special edition. During this occasion, two large rooms in the Le Monastère will be opened to accommodate as many participants as possible and create a meditative community. For more information, click here.